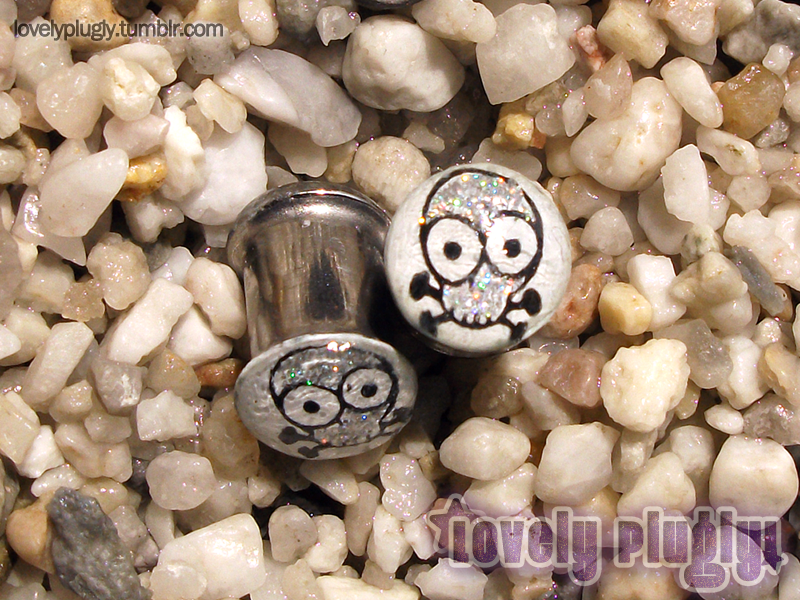 8mm (0g) stainless steel plugs with holographic glitter bling skulls. All the colours of the rainbow here, photo does not do it justice. Double-flared.